04/15/2019 3:30 PM by Jacob C.
Reynold’s Community College will be hosting a free screening of the award-winning documentary Fail State from Executive Producer Dan Rather. Fail State addresses our higher education financing crisis and is a must watch. FAIL STATE investigates the dark side of American higher education, chronicling the decades of policy decisions in Washington, D.C. that have given rise to a powerful and highly-predatory for-profit college industry. With echoes of the subprime mortgage crisis, the film lays bare how for-profit colleges exploit millions of low-income and minority students, leaving them with worthless degrees and drowning in student loan debt. Director Alexander Shebanow traces the rise, fall, and resurgence of the for-profit college industry, revealing its Wall Street Backing and the lawmakers enabling widespread fraud and abuse in American higher education. 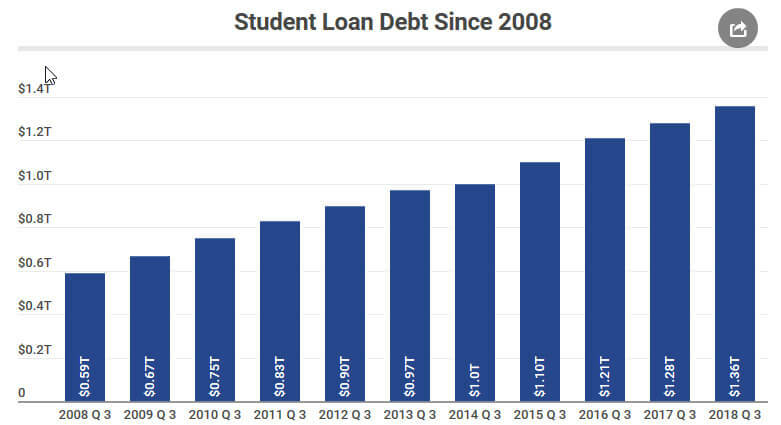 If you’re not worried about student loans and higher education right now then you’re not paying attention. Student loan debt is now only surpassed by mortgage debt in the nation. Loans are also structured in such a way that clearly favors the loan institution instead of the lender. Things such as applying overpayments to interest instead of principle or not allowing a student to specify how payments are applied. In addition to the financing, lack of regulation of educational institutions has allowed near useless for-profit colleges and universities to pop up and take advantage of students. Check out the documentary. It’s worth a watch. Dan Rather was fired from CBS in 2004 for falsely reporting “that President George W. Bush avoided serving in Vietnam during his time at the Texas National Guard and was given preferential treatment because his father, George H.W. Bush, was a congressman.” His report, if you recall, was based on documents that were obviously forged. Yup, Dan Rather —father of Fake News. So, Dan . . . thanks, but no thanks. I’m looking forward to watching this.